A masterpiece by Giuseppe Verdi, a must for opera-goers. No big names for this production in Liege but let's see what they come up with. 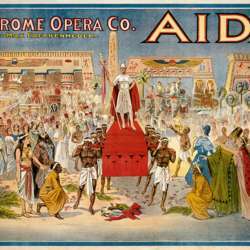 The photo of the activity is a poster for Aida for the opera theatre in Cleveland, Ohio, in Protected content .